When your commercial construction is complete, look to ServiceMaster® Capital Area to provide the final thorough and detailed cleaning needed after construction debris has been removed. With over 55 years experience, ServiceMaster Clean® has developed the most advanced products and methods to make your property shine. Our staff is dedicated to going above-and-beyond service expectations, with resources readily available to do the job quickly and effectively. We will work as an extension of your staff to make your building look its best. In addition to the basic services, we can also perform specialty cleaning services, such as window cleaning, floor finishing and deep carpet cleaning. If your construction project is in need of some general debris cleanup, ServiceMaster® Capital Area can provide a team to help with that as well. We’ll help keep your project on schedule by keeping the environment clean and safe, allowing your workers to be more efficient and focused on what they do best. Once you have completed your construction or remodel, ServiceMaster® Capital Area is your ideal partner to provide ongoing cleaning services based on our intimate knowledge of the building. Be sure to recommend us! � 2019 ServiceMaster® Capital Area, All Rights Reserved. 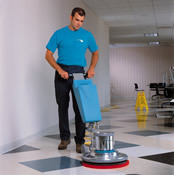 An independent business licensed to serve you by ServiceMaster Clean®.